Remembering the days they laughed at us wearing our African designs in public. Now they stare in admiration, requesting we bring back extra material from back home. Nope. Buy yours from Stella Jean for $1000. Now, Africa, I have a bone to pick with you….and me, if I am honest. 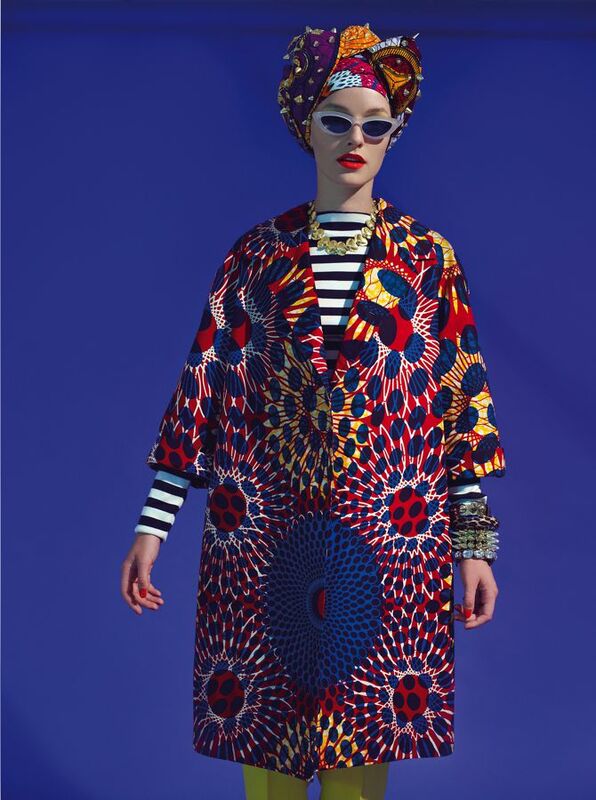 How on earth did we allow an Italian-Haitian designer to capitalize on African prints? Before you attack me, hear me out. Yes, Stella Jean is talented and hard-working. Without these characteristics, Stella Jean, Ltd. would not be where it is today. However, it is a bit outrageous of her to buy simple dutch wax prints and other “ntoma” (as we call it in Ghana) prints, create these beautifully crafted designs, and sell at a premium upwards of $1000. Take this “Nsubra” (pronounced en-su-brah )print below. The Nsubra print is among the oldest cloths in Ghana. And because it’ so old, you can purchase 6 yards for as little as $6 per yard (give or take). Granted the nsubra isn’t the only print Stella Jean used in the above long jacket, BUT I’m sure the material and the sewing didn’t cost her even half of her selling price. So how do we justify purchasing something we can easily replicate for a fraction of the price? The designs are not so intricate that they have to be hand sewn, used with a delicate machine, or any other factors that might contribute to the designer’s pricing. So I’m just really confused. Let’s keep in mind this post was meant to be inspiration. 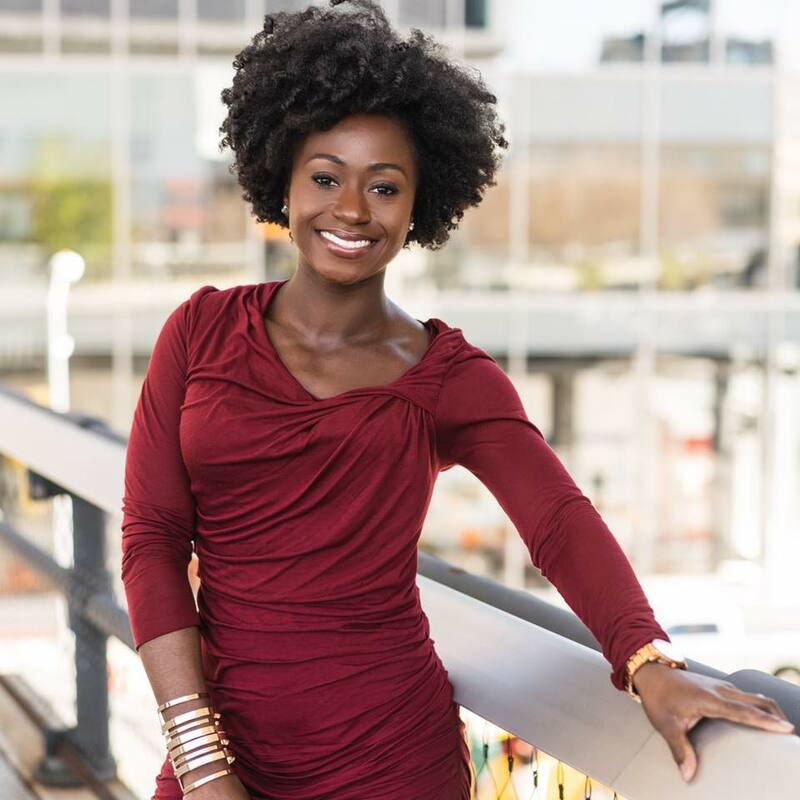 I’ll promote Stella Jean because, at the very least, she is bringing much more awareness to Africa, than Africans themselves. But I’d be fooling you all if I didn’t tell you how I really feel about Stella girl’s pricing. …If I don’t find it, I’ll just have my designer make me one (unbothered emoji). I’ve lurked on your site for a while now but never commented. I am from Nigeria and I hear what you are saying but honestly I think that is true off all high end designers – the product is sold for much more than the sum of the inputs vs HandM or Zara who sell lots of clothes with thin margins. We have tons of designers who could compete internationally like Christie Brown (Ghana)or Jewel by Lisa (Nigeria)but I don’t know why they don’t enter the mainstream. In the new global village Africa isn’t that remote anymore. I totally agree with you because being an african myself I ask myself if stella has even been to Africa. How much does she really know about african culture? It’s sad to see that the 1000 dollars she is charging for those dresses can feed an entire village in Africa. It’s sad really that we have such talented designers back home but their work will never see the light of day across the pond. I agree with @ArtBecomesYou that celebrity endorsements can cause the price point of a small brand like this to go up but I also think its a matter of producing in mass quantity. From what I’ve read and a few chats the infrastructure for fashion design and manufacturing isn’t well established. 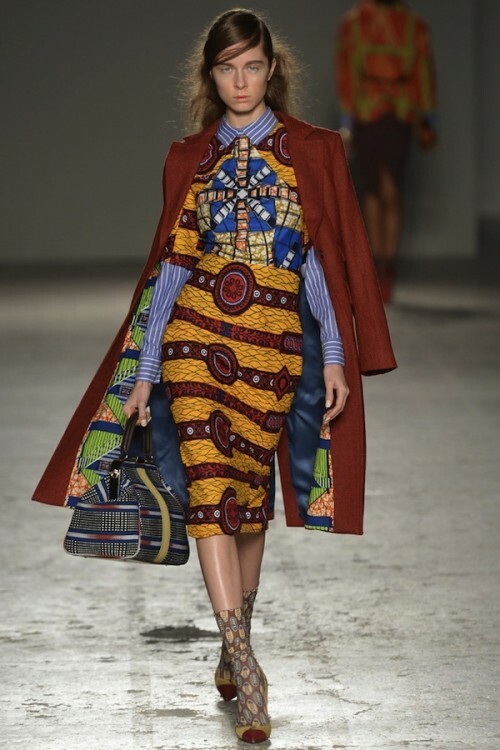 So Stella Jean may be using Nsubra prints but having the labor on garments done in Italy. Pipelines to certain countries have to be considered as well. I agree though that something seems off that these fabrics cost so much from high end designers.